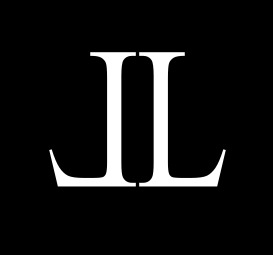 Leandro Lopes is an internationally successful, high-quality fashion brand. A key element of the brand is its connection to Portugal where all of its products are handmade with great care and attention to detail. This designer and fashion entrepreneur has remained true to his personal passion to combine modern design with high quality materials and craftsmanship to perfection. The expressive power of the brand is reflected in a portfolio consisting not only of shoes, but also of in-house designed clothing and accessories. “I want to reach customers all over the world who have a passion for quality, top class materials and modern design. Customers who love fashion as much as I do." Leandro Lopes’ success story began more than fifty years ago in Portugal where Leandro’s grandfather, Manuel Lopes, founded a factory in 1962 in Felgueiras to produce high-quality shoes and traditional leather goods. In fact, a branch of Leandro’s family still carries on the family business in that small village in northern Portugal to this day. Fate dealt a harsh blow to the family in the early 1980s with the premature death of both the founder of the company and his wife. The factory had to close for a while – but that wasn’t the end. The founder’s grandson, Leandro Lopes, born in 1987, discovered his zeal for fashion at an early age, coming up with initial designs and taking an active part in choosing materials and the production of hand-made shoes and leather goods – a passion that would never leave the designer. The seed had been planted that would later grow into the successful Leandro Lopes brand. The company’s financial position deteriorated in the 1980s and Leandro’s parents decided in 1993 to emigrate to Germany along with their children. Other members of the family remained in Portugal and continue to run the family business in Felgueiras to this day. Despite some initial difficulties in their new environment, a lack of knowledge of the German language and scant financial resources, the Lopes family struggled through in their new foreign home. Leandro in particular never lost sight of his dream in Germany, remaining determined to become a fashion designer and to make a success both as a designer and as an entrepreneur. After graduating successfully from high school, Leandro finally had his chance, deciding to continue the family legacy and to use his own name as the company’s brand name. Nowadays he and his team design and produce shoes and clothing for an exclusive clientèle.